This past weekend Nafasi Art Space was visited by a whirlwind known as Symbiz. This bass and electro music band from Berlin, Germany arrived in Tanzania for the first time as part of their East African tour. 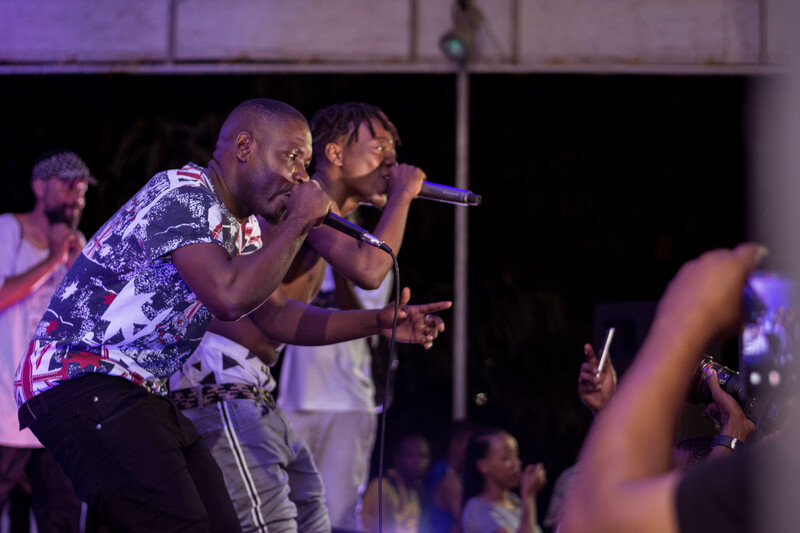 Known for their larger than life performances and huge beats they wasted no to time introducing themselves and their sound to those who attended a day long workshop on Friday here at Nafasi Art Space. 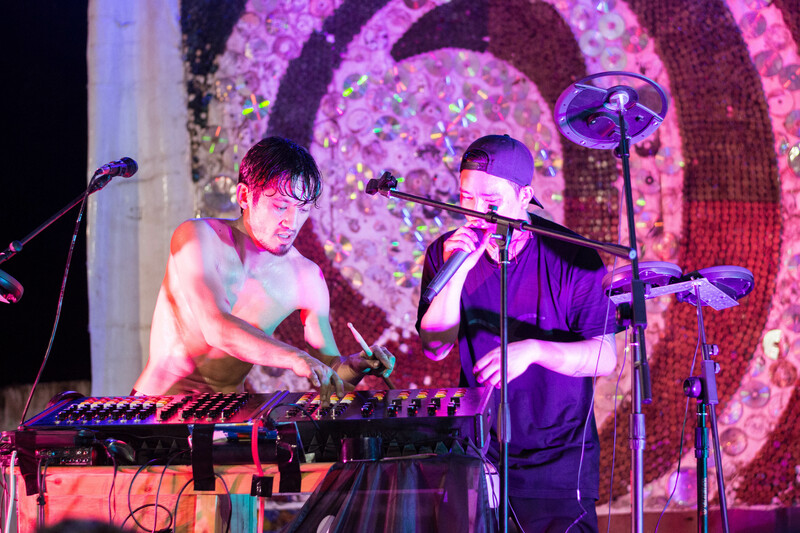 They shared samples of tracks, tricks of the trade and a few words of wisdom about making electronic music. 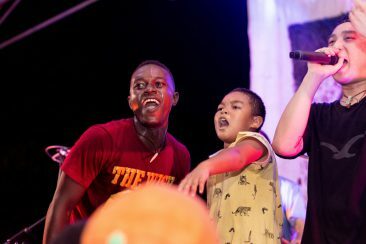 They also introduced the specially designed equipment that they would be using for their show the following day alongside Mzee wa Bwaksi and Msaga Sumu, two of the biggest stars of Singeli music. The weather did its best to put people off; there were grey skies, showers, and even a faint sound of thunder but the crowds still came and as ever here at Nafasi Art Space, the show went on. 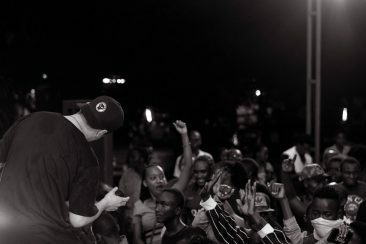 The audience gathered by the stage and the show set off in high gear with the rapid fire energy of Singeli music. 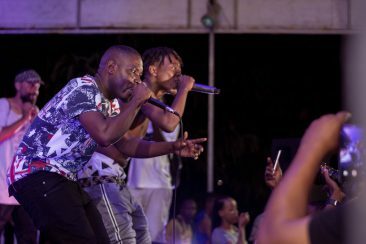 Ripping sets by Msaga Sumu and Mzee wa Bwax had everyone bouncing and set a high bar for SYMBIZ as they finally took to the stage around 10 pm. They did not dissapoint, setting the place alight with powering bass track after powering bass track. Nafasi was rocking. And nobody could even remember the rain. A big thanks to our friends at Goethe Institut for helping to make this happen. It was a weekend to remember.